In true Hollywood fashion, the tragic Boston marathon bombing of 2013 has gone on to inspire a string of real-life dramas, with both Stronger and the Mark Wahlberg-fronted Patriots’ Day at varying stages of development. There’s another feature film to emerge from the disaster, though. It’s called Altar Rock, a lesser-known indie thriller helmed by Andrzej Bartkowiak, and Deadline brings word today that it’s secured its first leading star in KJ Apa. Exactly who Apa will be playing remains up for question, but we understand that Bartkowiak will be directing from a script penned by Kristin Alexandre and A. Wayne Carter, with a production start penciled in for summer. 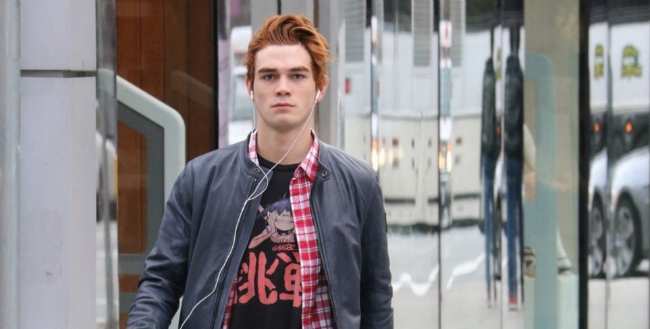 As for the New Zealand newcomer, the up-and-comer recently clinched the part of Archie in the CW’s midseason drama series, Riverdale. Beyond that, Apa will also star in A Dog’s Purpose, the big-screen take on W. Bruce Cameron’s beloved novel. It’s these roles, coupled with a key part in Altar Rock, that have helped put the actor’s name on the map, building from his previous credits on The Cul-de-Sac and nighttime soap Shortland Street. No word on when Altar Rock will have its theatrical release, but Deadline notes that Bartkowiak’s drama will shoot on location this summer.